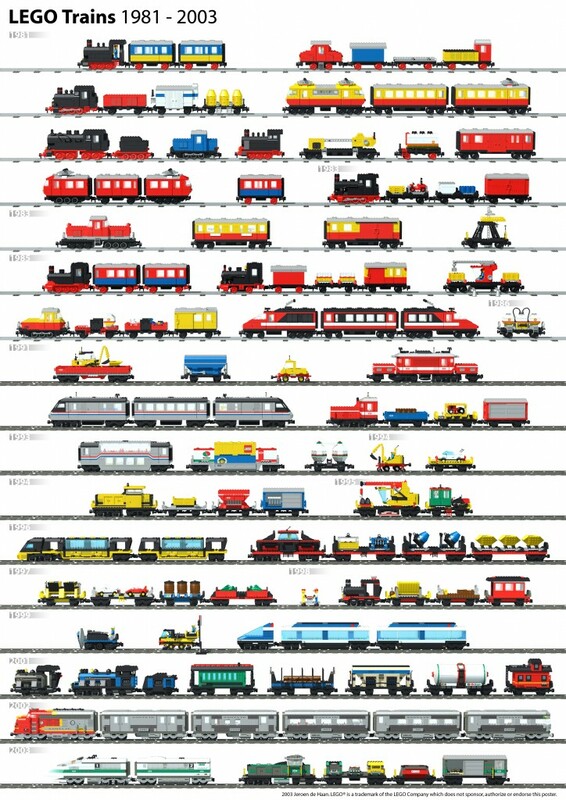 In the course of cleaning up this weekend I found a few copies of the famous LEGO Train Poster. I had a number of these printed in various sizes and we used them on the NCLTC public displays. I have no idea if it was ever updated after this version, I don’t believe so. This entry was posted in CAD, Odd and Ends, Trains and tagged NCLTC, train layout. Bookmark the permalink. It was not my poster to sell. Somewhere I probably have the original graphic file which I printed at work. You could download the graphic and have it printed yourself at Kinko’s or some other similar location that does large format printing. That would be the easiest way to get a copy. You just need to make sure you start with a high resolution version. My son loves your poster. He likes the cargo trains the best. How do I download your graphic file? So he can appreciate the history of older trains from lego’s past models. Do you plan to update your file to the latest train models? I didn’t generate the poster, it was done by someone in Europe many years ago. I don’t think it was every updated but I could be wrong. EuroBricks.com would likely be the place to go looking for a new version.